Proper lighting in the bathroom is important for a variety of reasons. Not only do we need to see ourselves clearly in the mirror, but we need to make sure the room is well-lit for safety purposes. While each type of light bulb has its own pros and cons, certain bulbs work better in different areas of the home. While high color temperature daylight bulbs are great for kitchens and bedrooms, the bathroom benefits from lower color temperatures closer to the light of incandescent light bulbs. Below is an overview of the best light bulbs for the bathroom, in addition to valuable lighting tips and tricks that will help illuminate your space. Not only do compact fluorescent light (CFL) bulbs match the incandescent light we’re accustomed to in bathrooms, but they consume a quarter of the energy and last ten times as long. Unlike traditional florescent lights, CFLs are quiet, turn on instantly, and have a warmer, color-corrected tone. 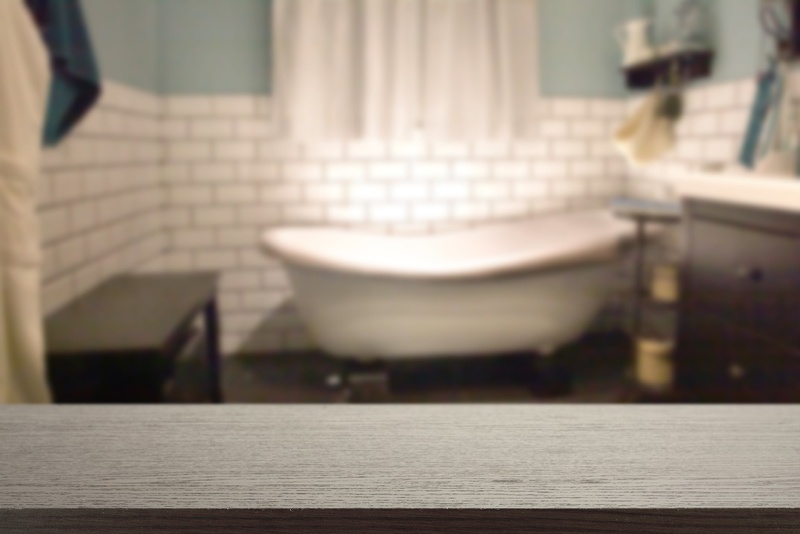 This warm light is perfect for bathrooms, simply because our skin appears better under it. While they’re great for bathrooms, CFLs can be used anywhere you’d use a typical incandescent bulb. Since CFLs contain trace amounts of mercury, they should be handled with care. When they burn out, they should be recycled. LED, which stands for “light-emitting diode”, is a long-lasting and extremely energy-efficient lighting technology. Unfortunately, these aren’t a direct substitute for other types of bulbs, as they don’t provide general light. Instead, these types of bulbs should be used for directional light – they’re a great lighting solution for under-counter task lighting or directed at an angle above a mirror. If you have a choice, it’s best to choose lower color temperature light bulbs, as these produce the best light. 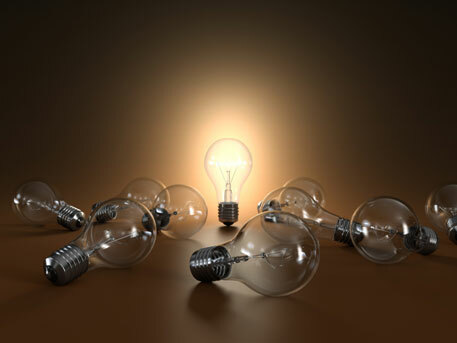 If you prefer incandescent, halogen bulbs are also an option to consider. They give off the closest light to natural daylight, and colors appear sharper as halogen bulbs can be dimmed. Although they’re more expensive and burn at a higher temperature than incandescent lights, they’re more energy efficient and tend to have a longer life span. Ideal for under cabinet and recessed lighting, halogen light bulbs cast a bright light and last twice as long as standard bulbs. Just remember to avoid using your bare hands to remove halogen bulbs – in certain situations the oil of your hands can cause the bulbs to explode. Having mirrors and other reflective surfaces in your bathroom can help distribute light throughout the room. While a mirror above the sink is the best placement for this type of reflective light, side mirrors elsewhere in the room can help. Although a mirror above the sink is ideal for reflective light, it’s important to avoid adding a light directly above the mirror. It’s ineffective for putting on makeup and shaving, and can visually add ten years to your face. Like all rooms in the home, you can save money in the bathroom by installing energy-efficient bulbs. In addition to using energy-efficient bulbs and fixtures, you can save money and energy in the bathroom by placing your various light stations on different switches – that way, you’re only using the light bulbs you need while using the bathroom.